At the core of Aerospace is Precision and Quality! 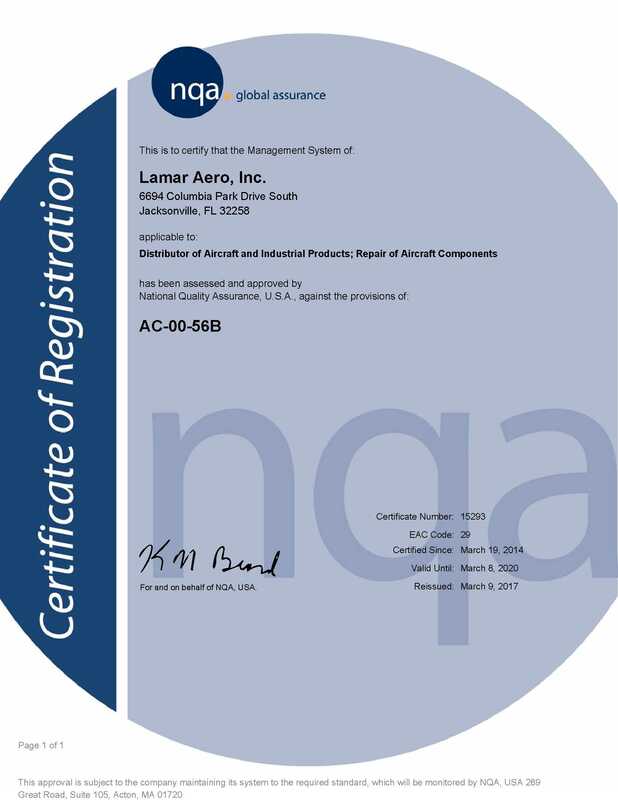 Lamar Aero is no exception. We operate by a stringent ISO 9001-2015 and AC-0056 approved quality management system. Our quality system is the operating bible for our company and defines who we are and is adopted into various management functions within our company. The policies and procedures contained in our quality manual are heavily detailed and extensive in order to provide all personnel with clear guidelines and objectives. Our processes are strictly followed from receipt of material or product to delivery and record retention thereafter. All product dispatched from our facility leaves with our company certification placing our reputation behind our product. Quality audits are always welcomed from our customers. We invite you to see firsthand our dedication to quality, and experience our policies in action.